British photographer Emile Holba fell in love with the winter resort town of Geilo and spent a year documenting its people. Looking at this shot of huskies in Geilo from UK based photographer Emile Holba you might not think twice about the fact that the dogs are all looking into the camera at the same time. "I lost my voice because I was shouting and moving. Afterwards, I found out two of the huskies were lead dogs that are trained not to be distracted." The shot is one of Holba's favorites from his book "Generation Geilo: Portrait of a Community", documenting the locals of the famed Norwegian resort town of Geilo in their natural environment. Holba first visited Geilo back in 2009 to document the annual Ice Music Festival Geilo, where every instrument is made of ice. "I wanted to cover the process of making the ice instruments, so I documented the locals ten days earlier to see the extraction of the ice from the area's fjords. I met a lot of very resourceful people, and I was really struck by how much of a healthy community Geilo and its surroundings was. Internationally, I've noticed that the more rural or countryside the location is, it would be poor or suffering from a brain drain." Holba kept coming back, becoming part of the festival and getting to know Geilo's Director of Tourism at Visit Geilo, Pål Knutson Medhus. Together, they came up with the idea for Holba's book, which would consist of 52 photos of locals – one for each week of the year, encompassing all four seasons. Holba started the project in the summer of 2014, and then spent a whole year travelling back and forth between Britain and Norway, setting strict rules for himself. "One camera, one lens, one photograph. A mature style from one hundred years ago, a large photo where someone poses. 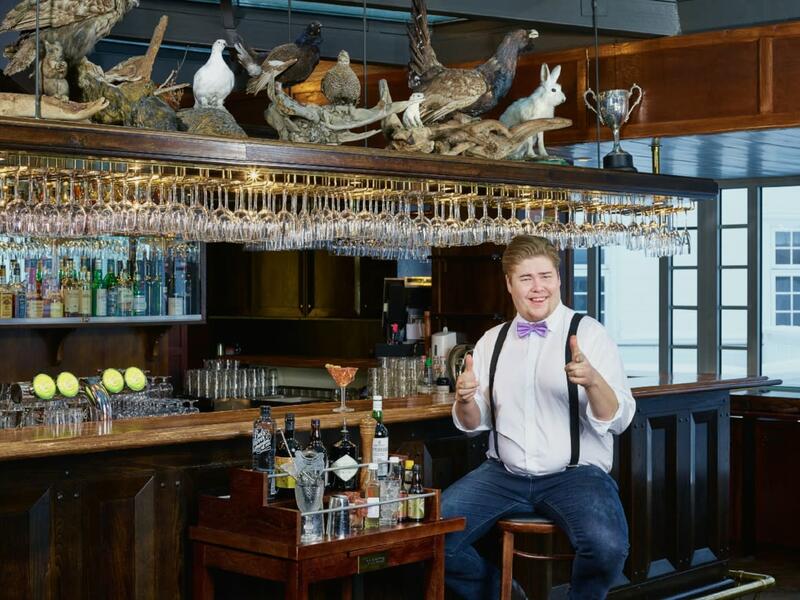 A lot of studio lights, but no cropping or rinsing through photoshop." Holba doesn't research his subjects too thoroughly, instead relying on meeting as equal and working from there. Setting up his shots and the stories that they are meant to tell, he is both meticulous and deliberate. 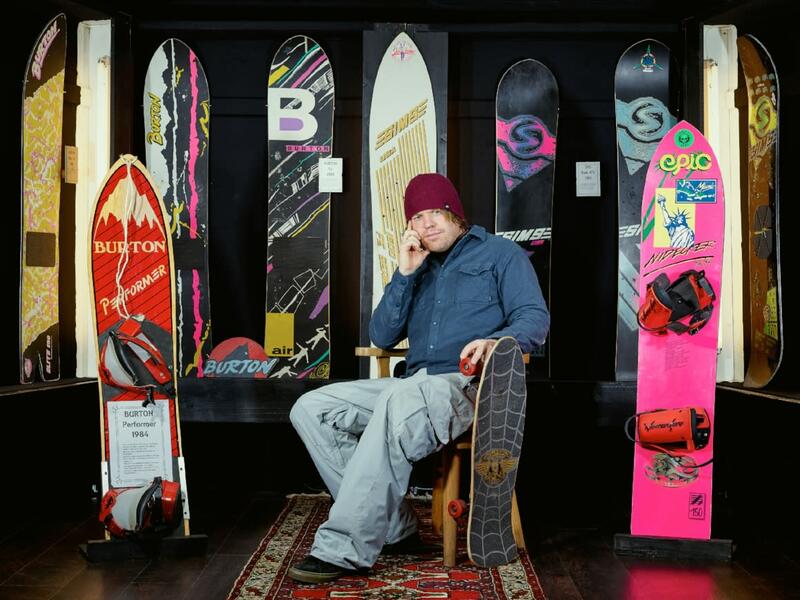 One of his favorite stories behind the images is how he made the symmetrical look in snowboard professional Rune Lundsør and his snowboard museum. "When I first arrived, I asked Rune 'can we change it?' We drilled and rebuilt his museum in two and a half hours. Then I put in the rug and the chair and the skateboard he had when he was 11 or 12 years old, the birth of him becoming an Olympic snowboarder. When his wife saw the image, she gasped. 'That's Rune!'" Holba often opts for a look that might seem casual at first glance but holds deeper meaning on close reading – "constructed to look natural", as Holba puts it. 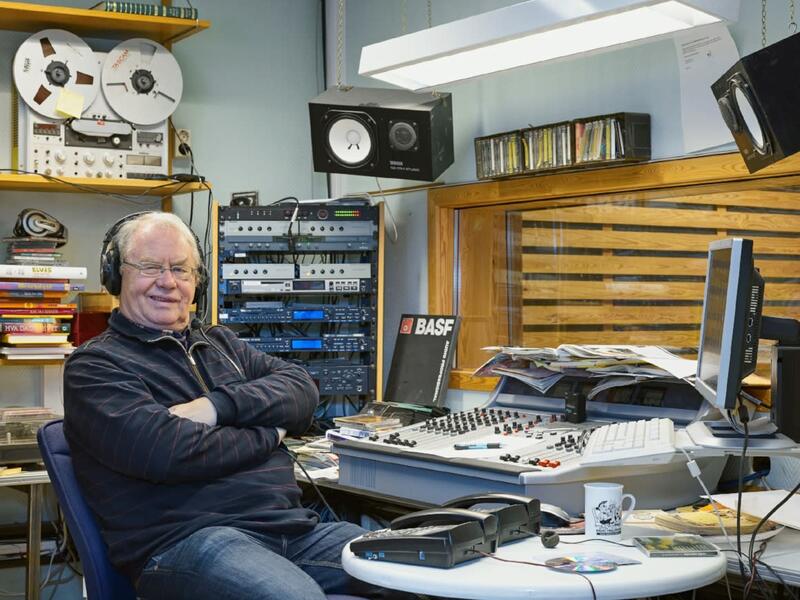 Take this shot of Knut Medhus, the man who founded (and now co-owns) the local radio station Radio Hallingdal thirty years ago. "I walked around different studios and interview rooms and found every recording format spanning the last thirty years. I ended up placing all the formats into this one image. Although it looks casual and chaotic, everything is placed. A lot of work was done in one frame." Slightly more dramatic was the making of the shot of local snowmaker Ole Kristian Kirkevoll, taken at midnight in minus 20 degrees celsius. Kirkevoll, a snow maker for years, is often an essential component in the building of slopes for local resorts. "There used to be guaranteed deep snow in Geilo every December. With climate changes, that doesn't necessarily happen anymore. It's much better than mainland Europe, but it does have an effect, and so snow makers are critical to each resort," Holba says. "I had this idea to have him with a snow canon. He looked at me with a smile and with fear. 'They're dangerous pieces of equipment'. The canon was at quarter power, which is still extremely powerful, but I needed him to look really casual, like he's writing a text or something. He was fighting the canon, and it took about 20 minutes to get the pose right. "He was such a big man, a bear of a man, every time I stood him up it just didn&apos;t work. I ended up putting him on a stool and he did this joke, like &apos;ey, cooool!&apos; and it just worked. It had this humor to match the stuffed animals." "Each individual here is passionate about their community and its success for future generations. It&apos;s a place that is inclusive, progressive and healthy. I can&apos;t put my finger on why, but it&apos;s something in the air, something in the water, there&apos;s something there." For more of Emile Holba&apos;s Geilo portraits, head to his website. The book is sold exclusively at Geilo&apos;s tourist office.